Some of you will have noticed that player pages now include a "WN8 Rating (alpha-test)" in place of "WN6 Rating". This is an early testing version of the WN8 Rating being developed by Praetor77, bjshnog, and many others (this is not an exhaustive list). Q. Is it the final WN8 rating? A. No. The rating is only in testing stage, and subject to changes by the authors. A. It uses the same kind of "expected stat" calculation, and comparison with the actual attained stats as NoobMeter's Performance Rating uses for damage, but it applies it not only to damage, but also to spots, frags, defense points, and win rate. It then applies a number of caps and weights to the resulting values to attain the final rating. Q. Is it in your opinion a good rating? While some of the parameters may still need tweaking, the ideas are extremely sound, because, same as NoobMeter Performance Rating, it considers individual tank performance. Q. Is this rating developed by NoobMeter? A. No. The rating is developed by the authors as listed above. 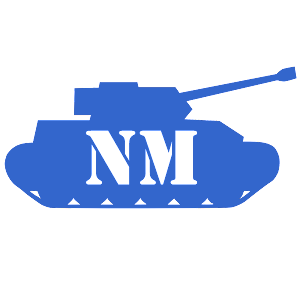 NoobMeter is likely the first (and so far only) site supporting the rating, and thus helps in the testing of the rating, but, like the WN7 and WN6 ratings before this, it is not a NoobMeter rating. Only the Performance Rating is a NoobMeter rating at the moment. Q. Why did you remove WN6? It is still used by XVM! A. Each rating I use takes up database space (most importantly index space, which needs to be kept in operating memory). Therefore, NoobMeter can only support a limited number of ratings without needing to upgrade to a more powerful database server (which involves additional costs). Also, WN6 is in practice extremely similar to WN7, so I suggest everyone just uses WN7 instead. Overall, WN8 is a significant improvement over WN6, so it is time to move on. Q. What is the scale? A. Expanded compared to WN7 in both directions, but with the same average. Bad players get lower ratings than they did for WN7, good players get higher ratings than they did for WN7. Q. I have comments / objections / etc. about the rating! A. You can post questions about the rating's implementation in NoobMeter here, but for anything related to the actual rating, please contact the authors of the rating in the official WN8 rating thread. Thanks.